"The elements are arranged in order of atomic weights on an eccentric spiral. The four sets of curves include positions of similar elements. The first small turn carries H and He; the remainder of the inert elements and the halogens are on successive small turns in analogous positions. 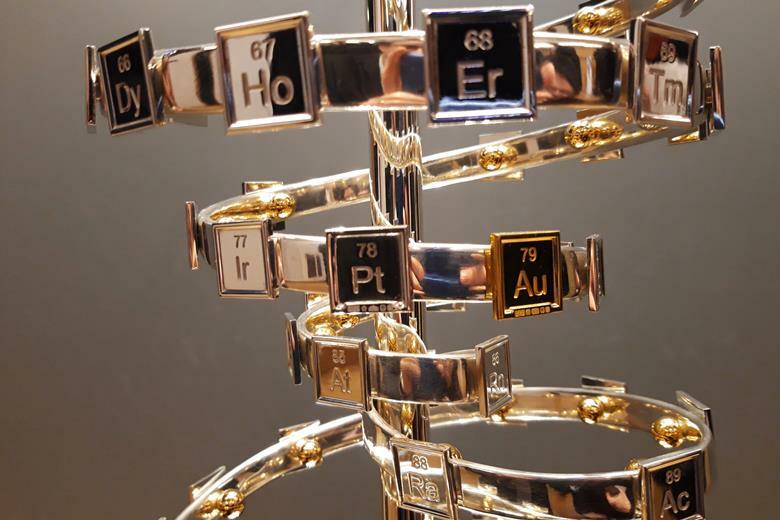 "On the next larger turn are found the alkali, alkaline-earth, and aluminum family elements. "The long periods require larger turns and the period containing the rare-earth elements requires the longest turn of all. Elements of the same group are found in the same plane passing through the axis of the spiral." 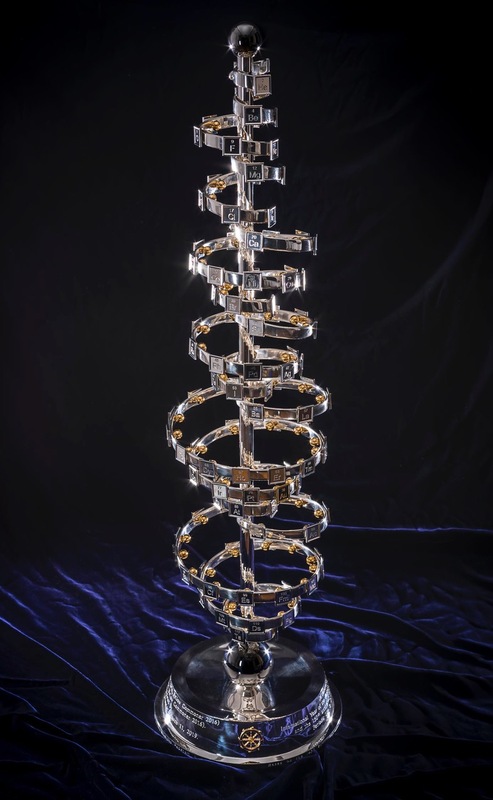 Commissioned in 2019 to match George Schaltenbrand's 1920 design for a helical gathering of the elements – albeit extended to all 118 current elements – and signed by Yuri Oganessian, it is almost certainly the most expensive periodic table in the world."